Family Travel Blog : Which Caribbean island is best for you? We have been thinking about the Caribbean a lot lately! My oldest son and I enjoy scuba diving and that warm, perfectly clear water just keeps beckoning us. It may seem a bit odd since we are living in a virtual paradise already here in Hawaii but no one place is perfect and I hate to complain but the water here can be downright chilly. Stop laughing, I'm serious.. Being ocean junkies we are always on the search for a great spot with warm crystal clear water, in an area that has a laid back vibe and cheaper cost of living, particularly for fun ocean activities. The Caribbean seems like it would be the perfect escape, while still maintaining excitement and fun for all ages. St Lucia is a sovereign nation located in the Eastern side of the Caribbean Sea. It is volcanic in nature so offers a more mountainous feel than most islands located in the area. It also boasts a drive through volcano, one of only a handful of islands to offer something so unique. Aside from that you can also enjoy lovely beaches, sulphur springs, and majestic rain forests. The body holiday in St Lucia is quite possibly one of the most beautiful resorts on one of the most beautiful islands in the Caribbean. Complete with everything you could need for relaxation and fun, it is not hard to see why St. Lucia is a top destination for families looking for a perfect getaway. Another island(s) located in the Caribbean that has peaked my curiosity as of late is the Bahamas. It is an island nation with over 700 islands, providing more opportunities to explore than you could need in a week, or a month for that matter. The Bahamas is known for its lovely beaches, spectacular scuba diving opportunities, and swimming with sharks, if you are so inclined. Something for everyone as long as you like the sea! Kidding but of course the activities are primarily beach centered. DR is a Caribbean nation that makes up about 2/3 of Hispaniola island, which is shared with neighboring Haiti. It offers a diverse landscape of dessert, alpine range, rain forest, and swampy mangroves. This diversity makes it a wonderland for trekkers and adventure enthusiasts while its beach location makes it a hit with the relaxation crowd as well. With 9 national parks and miles upon miles of beaches, the Dominican Republic makes a beautiful vacation spot. Jamaica has long been on my travel bucket list. It is a tropical island with a generous helping of spectacular flora and fauna, something I hope to see one day very soon. Hiking, camping, fishing, and pretty much any water sport is available on the island. So if you plan to go fishing it's a good idea to bring your fishing reels! What sets it apart for me is the cultural and somewhat religious nature of the island. Although the population is quite diverse, the Rastafarian culture is something I for one would love to experience. Not to be missed is Dunn's River falls in Ochos Rios, Black River safari, and Mayfield falls where the backdrop scenery will leave you speechless. Then there is the food...have you ever had anything with jerk seasoning? I rest my case! Since Mexico is next on our travel radar, and a huge piece of the country enjoys the beauty of the Caribbean I just had to include it on the list. 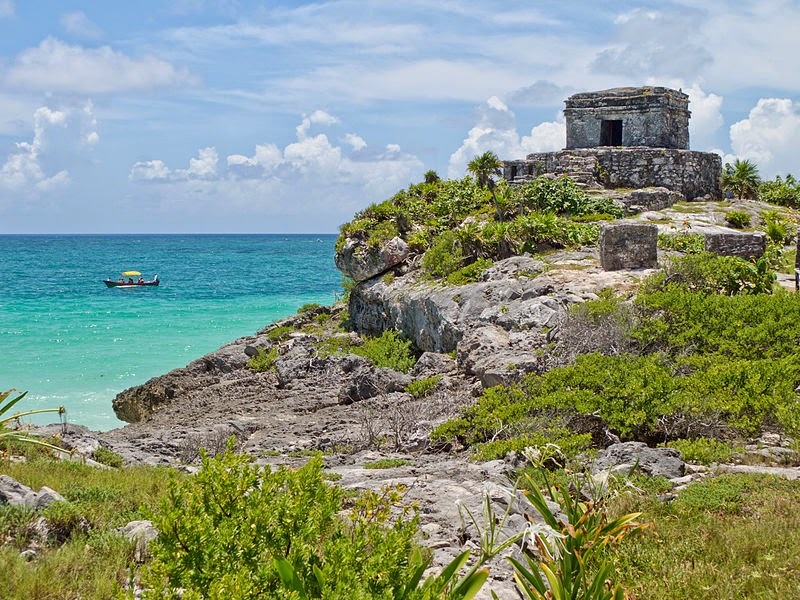 The Yucatan Peninsula juts out into the Caribbean Sea and the benefits of that are almost too many to mention. Couple that with the intense culture, amazing food, and friendly people and you have a recipe for a great vacation. The beaches are lovely with turquoise water and powdery white sand but there is so much more to this area of the world. Cenotes, ruins, caves, reef systems, sea life, and haciendas just scratch the surface of all there is to see and do in the area. Whale sharks frequenting the waters, Cozumel being the 2nd largest barrier reef in the world, and the archaeological education that can be gained here makes it a top choice for any type of vacationer! So there you have it. 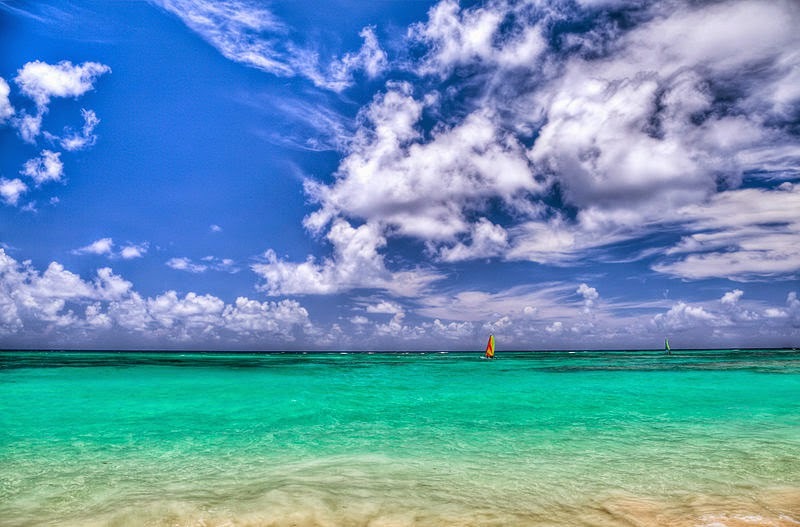 Which Caribbean destination would you choose? Have you been to any already? Tell us more in the comments below!